Waldheim was an Austrian diplomat and politician. Waldheim was the fourth Secretary-General of the United Nations from 1972 to 1981. Kurt Waldheim was the fourth Secretary-General of the United Nations. Kurt Josef Waldheim was an Austrian-born lawyer, soldier, politician, and envoy who served as the 4th Secretary-General of the UN and the 9th President of Austria. His intelligence regarding work in Greece during World War II raised more questions than answers. Waldheim was a member of the Austrian People’s Party, a World War II Veteran and is survived by his three children. Waldheim was born on December 21, 1918, in Sankt Andrä-Wördern near Vienna. His father worked as a Roman Catholic School Inspector with ancestral roots in the Czech Republic. Waldheim served the army between 1936 and 1937 after which he joined the Vienna Consular Academy and graduated in 1939. During his early years, Waldheim was unaffiliated, but his father was an active member of the Christian Social Party. In 1938, three weeks after Germany annexed Austria, Waldheim expressed interest in being a member of the Nazi Party the National Socialist German Students' League (NSDStB), which was a division of the Nazi party. Waldheim married Elizabeth Ritschel on August 19, 1944, in Vienna and had their firstborn Lieselotte in 1945. In 1941 during the World War II, Waldheim served in the Wehrmacht as squad leader at the Eastern Front. Waldheim said he served until 1944, but other sources claim he served until 1945. Depending on the source, Waldheim or his critics, his army duties may differ. While he argued that he was only a clerk and an interpreter, other sources believe he served as an interpreter and liaison officer, 3rd Assistant Adjutant, 2nd Assistant Adjutant, 1st Assistant Adjutant, General Staff Quartermaster, General Staff Chief of Operations, General Staff Chief Intelligence Officer, and as an aide-de-camp. Waldheim was the First Secretary of the Legation in Paris between 1948 and 1951 when he joined the Austrian Ministry of Foreign Affairs until 1956. He then served as the High Commission to Canada between 1956 and 1960 before going back to the Ministry of Foreign Affairs. In 1964, Waldheim served as the Austria’s UN Permanent Representative. He shortly served again in the Austrian Ministry of Foreign Affairs for two years before going back to the UN in his previous capacity. He was defeated in his first shot at the Austrian Presidency in 1971. In the same year, he became the UN Secretary-General and was re-elected in 1976. Waldheim ran and got elected as Austrian president in 1986 and served till 1992. Waldheim did not seek re-election. Waldheim undertook several peace missions as UN Secretary-General. He calmed tensions between Greeks and Turks in Cyprus in 1972 and led peaceful negotiations and reconciliation between 1973 and 1974. Waldheim made significant contributions in Vietnam, Yemen, India, and Pakistan, and organized the UN Emergency forces that acted as a buffer between Israel and Egyptian forces in 1973 in the long-standing Israel-Arab conflicts. 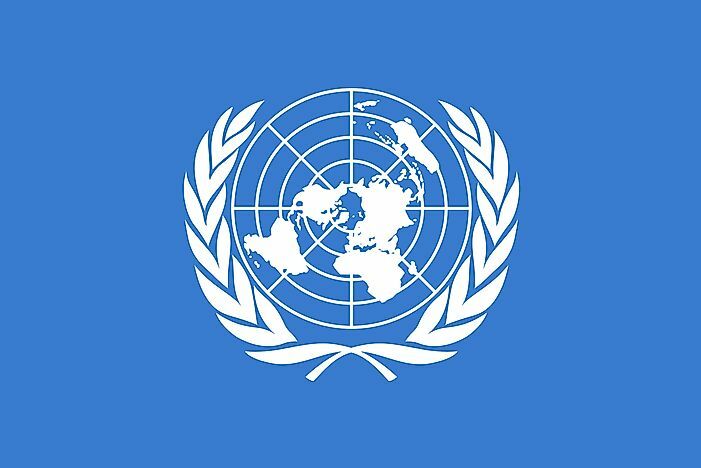 Waldheim established a new international economic order at the UN by enacting policies that would reduce the gap between the rich and the poor. He negotiated the release of American Hostages from Tehran although he later became persona non grata in the US. Waldheim made several contributions for his country as president and diplomat. Waldheim’s time with the Nazi’s would come to haunt his career years later. While he stated that he left the service in 1944 having served as an interpreter and clerk, different sources from the CIA, Jewish Interest groups, and journalists presented contrary evidence. The sources claimed that his service ended in 1945 and served at senior ranks and was always close to where war crimes were taking place. He is accused of reviewing and approving anti-Jewish propaganda leaflets. His accusers believed he had played a bigger role in the Nazi system that oppressed the Jews. Waldheim and his supporters successfully defended his service in the military. These accusations were later known as the “Waldheim Affair.” Analysts believe that the accusations were because of Austria refusing to address its role in the Holocaust, refusing to compensate Nazi victims and refusing to investigate its citizens who were Nazis. Many Nazi leaders, Hitler included, had Austrian roots. He also received annoying telegrams from President Amin applauding the massacre of the Israeli Olympic athletes in Munich. Amin said Germany was appropriate place for the massacre because it was the place Hitler burned more than 6 million Jews. Kurt Josef Waldheim died on June 14, 2007 from heart failure and was buried on June 23 at the Presidential Vault. His name appears on Wehrmacht 's list of honors for successful military actions. The Independent State of Croatia also awarded him the Medal of the Crown of King Zvonimir. He has been awarded one of the highest presidential awards in Yugoslavia. Pope John Paul awarded Waldheim a knighthood in the Order of Pius IX.